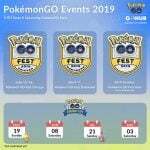 Dialga, the legendary steel and Dragon-type temporal Pokémon, has officially been released in Pokémon GO. In this article, we will discuss how well it performs in the current meta and how you can use it in battle effectively. Dialga can learn Dragon Breath and Metal Claw as fast moves, and Thunder, Iron Head and Draco Meteor as charge moves. Dragon Breath is an amazing fast move for PvP battles. In fact, it’s the best Dragon-type fast move for that purpose. However, it’s worse than Dragon Tail for raids and gym battles. Dialga is able to learn Dragon Tail in the main series games via TM, but unfortunately, it cannot learn it in GO as of now, which leaves Dragon Breath as its only Dragon-type fast move. Even though Dragon Breath is strictly inferior to Dragon Tail for PvE, it’s not the worst fast move in the game stats-wise, so definitely usable. If you want to use Dialga as a Steel-type attacker, Metal Claw is its only option as a fast move. Too bad Meteor Mash Metagross outperforms it. Thunder does not benefit from STAB, and it’s not a great charge move either. 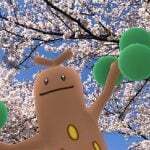 Furthermore, it does not counter any of its weaknesses (ground and fighting), so unless you want to add Electric-type coverage to your team, Thunder does not seem to be the best charge move to choose. 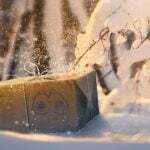 Iron Head is its only Steel-type charge move in the game. It’s not as good as Meteor Mash, but if you want to use Dialga as a very decent Steel-type attacker, add an interesting STAB option to your moveset or just add Steel-type coverage to your team, you can always choose Iron Head. Draco Meteor is its best charge move as of now. You have probably heard that Outrage is significantly better, and that’s generally true. However, Dialga has great bulk (and typing), which usually allows it to fire off more charge moves in battle. What does that mean? Well, with most Draco Meteor users, you will probably faint before firing off a couple of charge moves, but since Dialga takes neutral hits from Dragon-type attacks due to its steel typing, you’re more likely to use Draco Meteor more than once. Would Outrage still be better if Dialga could learn it? Probably yes, as it is a more energy-efficient charge move, but keep in mind that Dialga is one of the best Draco Meteor users out there due to its bulk and typing. With that said, its best moveset for raids, gym battles, and even PvP is Dragon Breath and Draco Meteor. If you want to invest in a second charge move, Iron Head is the best option and benefits from STAB. 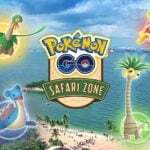 However, if you’re short on Stardust and rare candy, there are other alternatives to consider spending your resources on. Trainers usually just want to power up the best Pokémon of each type. In other words, the ones that deal the greatest DPS. Even though Dialga has a great attack stat (275), neither its Dragon-type moveset nor its Steel-type moveset is the best in the game. 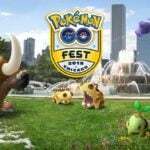 Dragon Tail & Outrage is better than Dragon Breath & Draco Meteor for PvE (raids & gym battles), and Meteor Mash is significantly better than Iron Head. 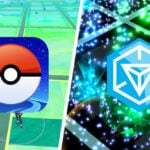 Does this mean that Dialga is useless in Pokémon GO? NO. Dialga can be used in plenty of scenarios, and even though its DPS might not be the greatest, there are still some situations where it can perform quite well. 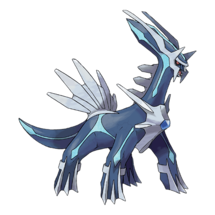 Do not forget that Dialga is also a Steel-type Pokémon, and unlike the other top-tier dragons, it takes neutral damage from Dragon-type attacks. So let’s see how it performs vs. the other top-tier dragons in raids. 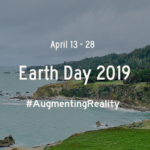 Three different scenarios will be tested, which are Dragon Tail/Draco Meteor Palkia, Dragon Tail/Outrage Rayquaza and Air Slash/Aerial Ace Rayquaza. The other Dragon-type competitors are Rayquaza, Dragonite, Palkia, Salamence and Latios. 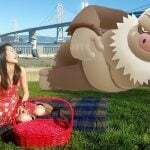 Mamoswine has been thrown into the mix against Rayquaza as the only Ice-type Pokémon in order to see how Dialga performs against a top-tier Pokémon that benefits from dealing double super effective damage against the raid boss. 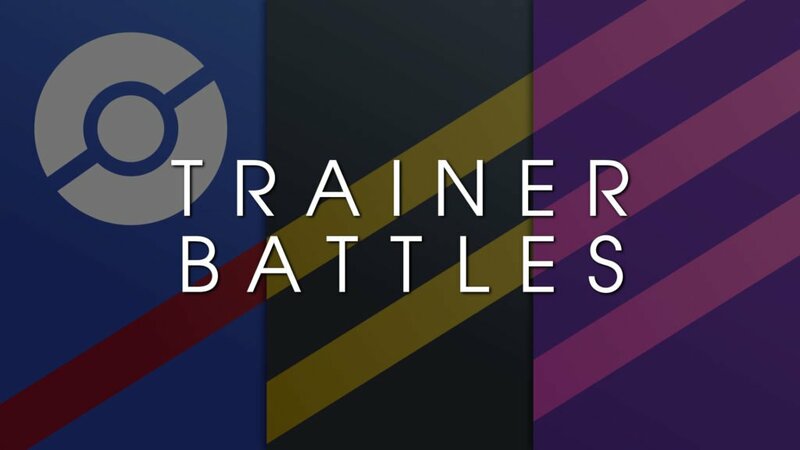 As always, simulations have been performed using Pokebattler’s battle simulator. Dialga performs really well in this scenario. In fact, it’s the BEST counter against Palkia when it has a double Dragon-type moveset. 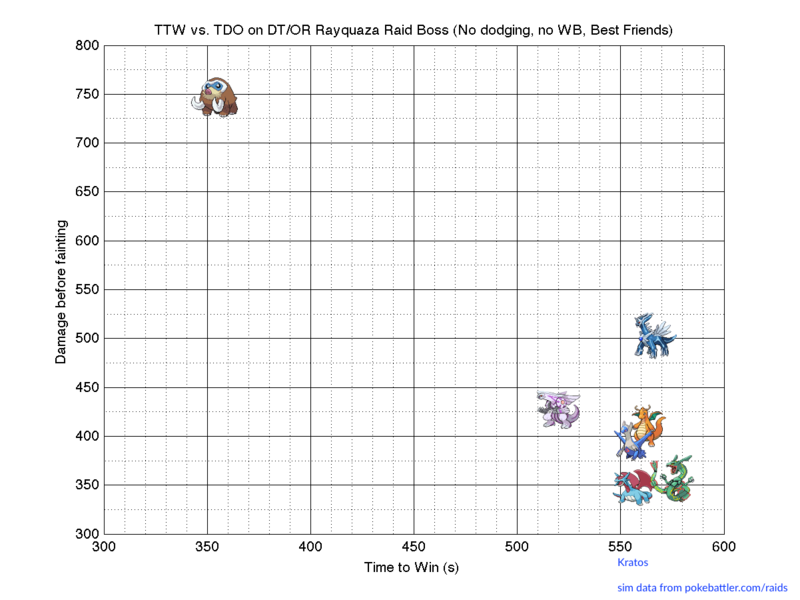 Dialga has almost the same time to win as Rayquaza with a much greater TDO and a significantly lower number of deaths, which is quite impressive. 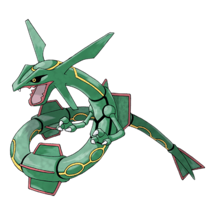 Even though its DPS is behind Rayquaza’s (mainly because it does not have access to Dragon Tail), its type combination and bulk make up for it in the long run and make it stand out as the best counter in this particular scenario. Unlike the other dragons, Dialga is capable of surviving a Draco Meteor from Palkia! In this case, Dialga also has a type advantage (it resists Flying-type moves), whereas the other dragons take neutral damage from the incoming attacks. 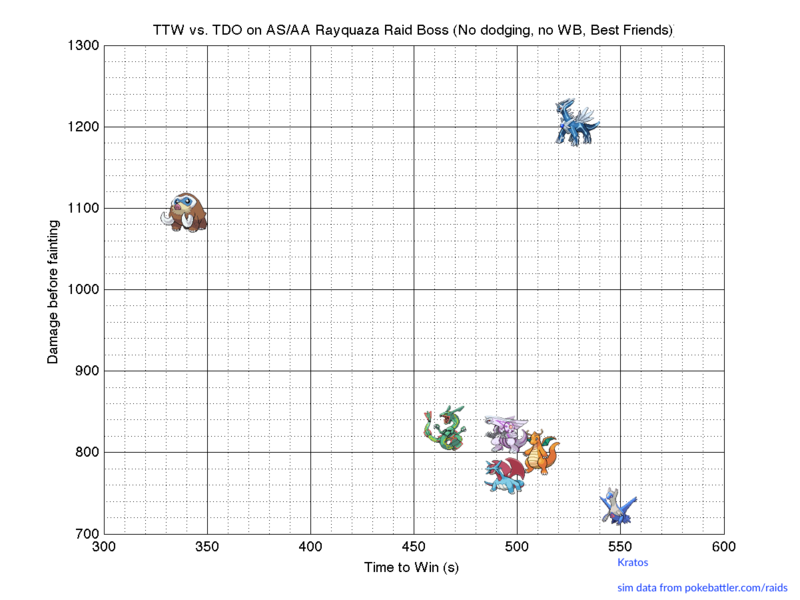 As you can see, Rayquaza has the greatest DPS (and thus, lower time to win) among the top-tier dragons. However, Dialga can deal a massive amount of damage before fainting, even more than Mamoswine against this specific moveset! Dialga’s typing allows it to have up to 8 single resistances AND 2 double resistances, which is insane. Despite its great damage output, Rayquaza is better for this matchup, as there is a significant difference in time to win between both Pokémon. 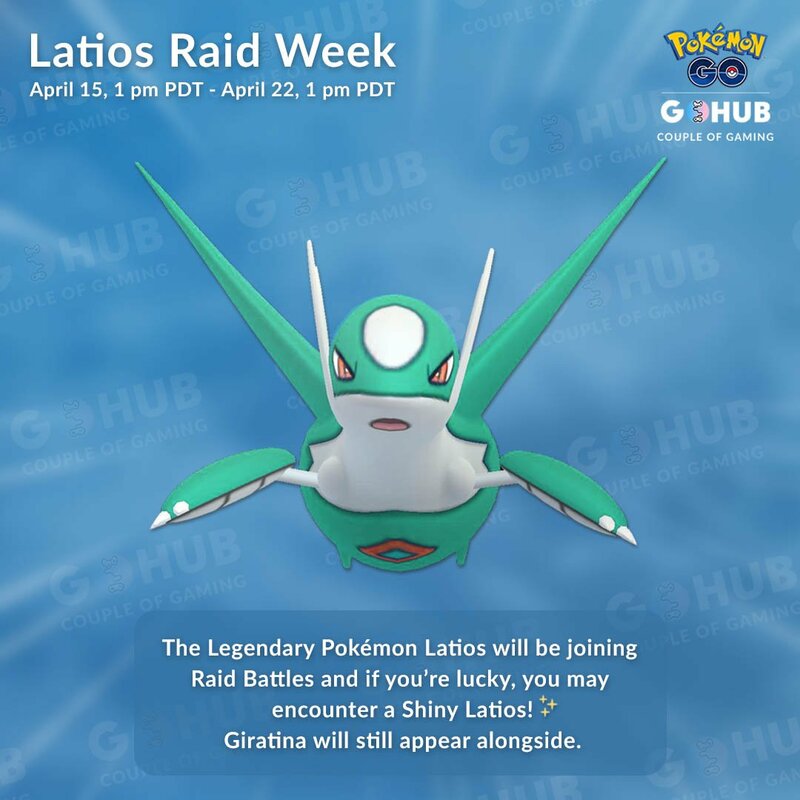 Unless you are always running low on revives and healing items, Rayquaza and Palkia are better in this scenario, and even Dragonite or Salamence are great non-legendary alternatives that are much more resource-efficient. And do you know what’s even better in this matchup? 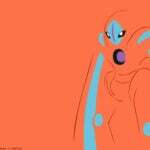 A Pokémon that takes advantage of Rayquaza’s double weakness to Ice-type moves, such as Mamoswine or Weavile. Yet again, Dialga has a type advantage in comparison to the other dragons as it takes neutral damage from Outrage, whereas the other dragons take super effective damage. However, Palkia is probably better in this scenario too, despite taking super effective damage from Outrage. Why is that? Mainly because Dialga lacks a better fast move such as Dragon Tail. Dialga is a pretty decent option but it hurts to see such a great potential wasted because of a questionable moveset choice. Draco Meteor is a less energy-efficient move than Outrage, but it is still a very decent charge move, especially thanks to Dialga’s type combination and bulk. However, Dialga really needs a better fast move to unleash its full potential. 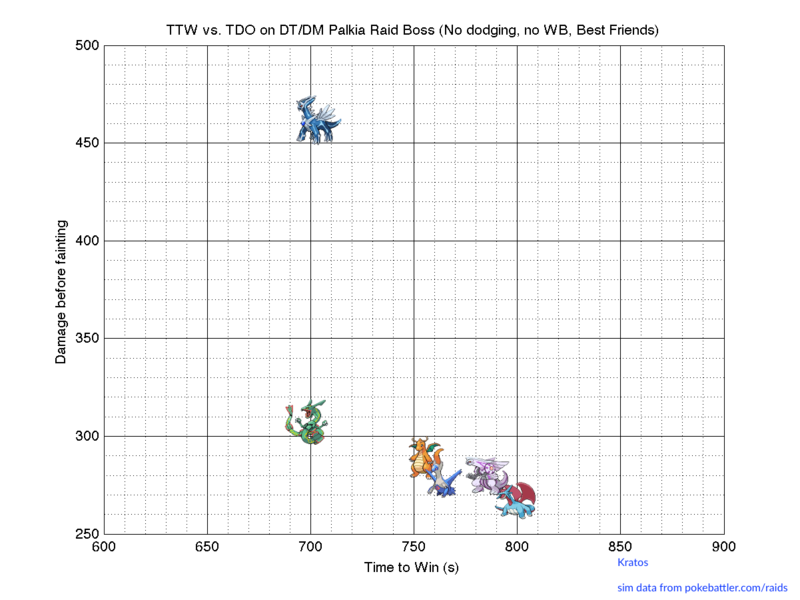 Stat-wise, Dialga is better than Metagross. However, Bullet Punch/Meteor Mash is a significantly better moveset than Metal Claw/Iron Head. 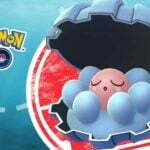 Meteor Mash is one of the best charge moves in the game, a two-bar charge move with 100BP and a cooldown of 2.6s, whereas Iron Head is also a two-bar charge move but with 60BP and a cooldown of 1.9s. The difference between both moves is so large that even though Dialga has better stats, it can’t outperform Metagross as a Steel-type attacker. 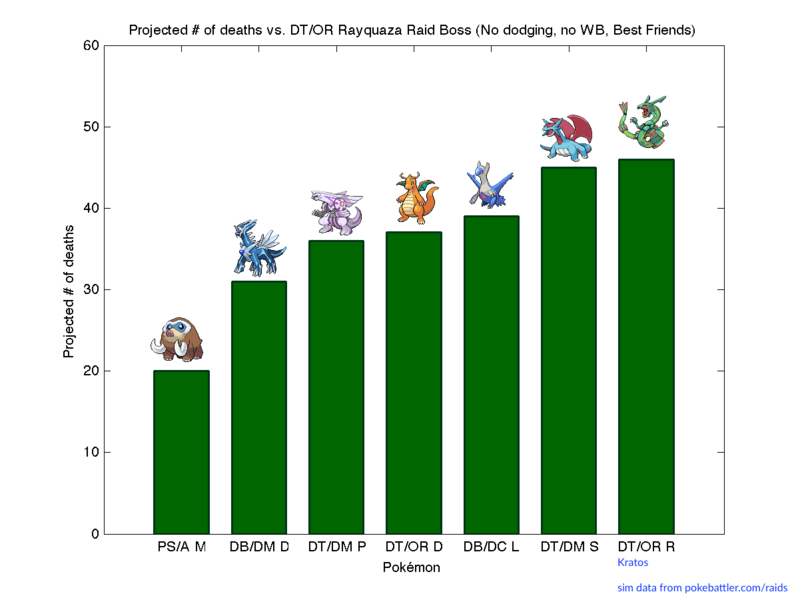 In fact, Dialga is 40 seconds slower (on average) against a Tier 4 Togekiss raid boss than Metagross. Dialga is already outclassed both as a Dragon-type attacker and a Steel-type attacker. 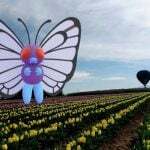 The question is: could it be better in the future provided it gets a better moveset? And the answer to that question is definitely yes. Dialga is able to learn Dragon Tail and Outrage in the main series games. 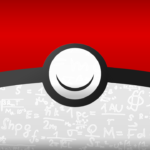 However, it cannot learn any of these moves in Pokémon GO. This could change in the future and would probably make Dialga the BEST Dragon-type attacker in the game against other Dragon-type Pokémon with a Dragon-type moveset, thanks to its great stats and type combination. And do you know what other move Dialga is also able to learn in the main series games? Roar of Time, its Dragon-type signature move. 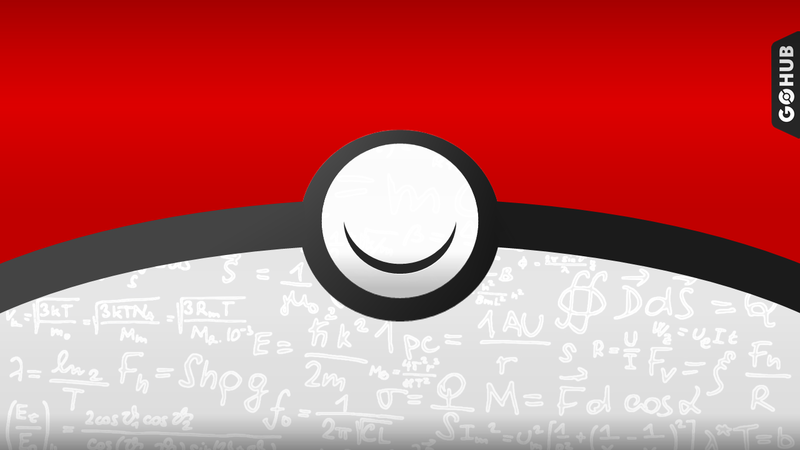 Even though it’s not in the game as of now, it has the potential to become the best Dragon-type charge move. 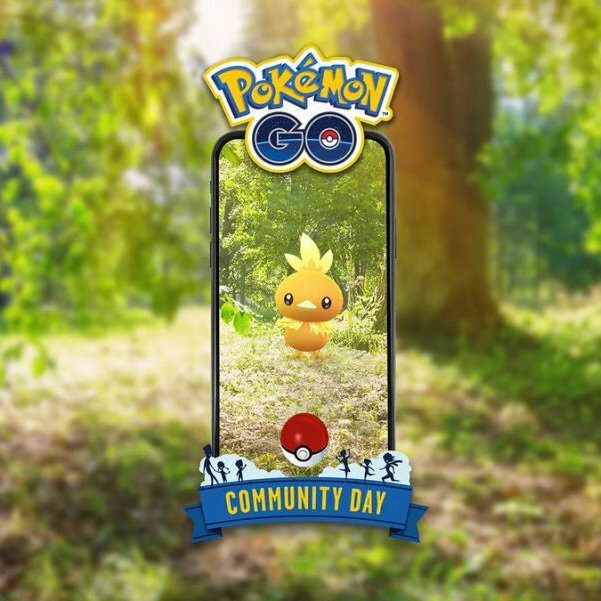 Time will tell whether or not we get Roar of Time Dialga in Pokémon GO in the future… maybe if Dialga Raid Day happens someday? Now, let’s see how Dialga performs in PvP. We have seen that the lack of Dragon Tail hinders Dialga’s performance in PvE. However, the fact that it has access to Dragon Breath is awesome for PvP! Its best moveset for PvP is Dragon Breath and Draco Meteor. If you want to invest in a second charge move, Iron Head is the best option as it benefits from STAB and it has a lower energy requirement than Thunder. Since Draco Meteor has a 75 energy requirement, having an alternative with a lower energy requirement such as Iron Head is usually needed, unless you want to risk wasting your energy by not firing off a last charge move before fainting. 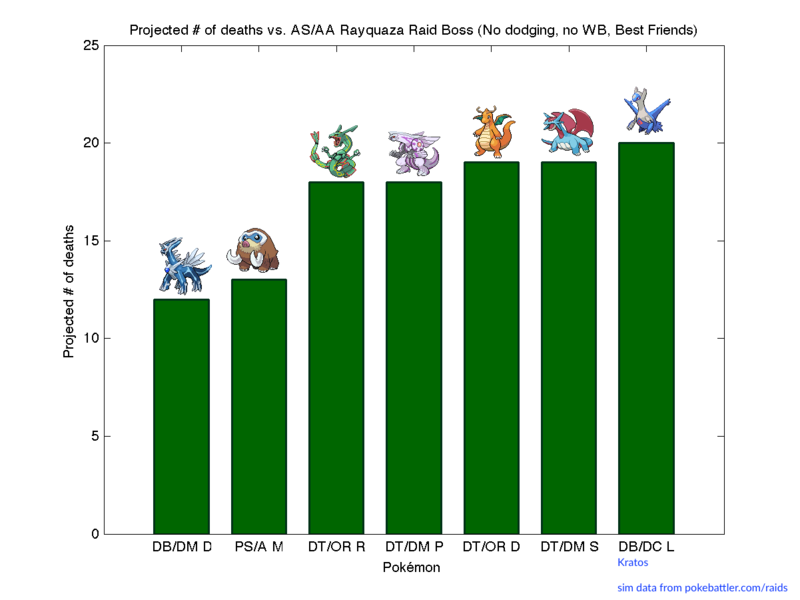 Dialga performs really well in Master League, and it has the potential to defeat the meta king until now, Giratina-A. 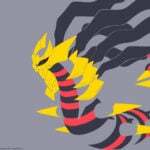 In fact, Giratina needs to use 1+ shield(s) more than Dialga in order to defeat it, which is quite impressive. Dialga’s awesome typing, along with the fact that it has access to one of the best fast moves in the game for PvP (Dragon Breath), allow it to shine in the Master League. If there are no shields in play, Dialga is an absolute beast in the field. 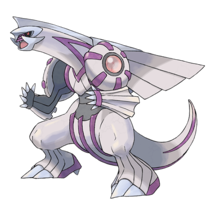 It beats Latios, Palkia, Dragonite and can definitely put up a fight against other top-tier threats such as Lugia. 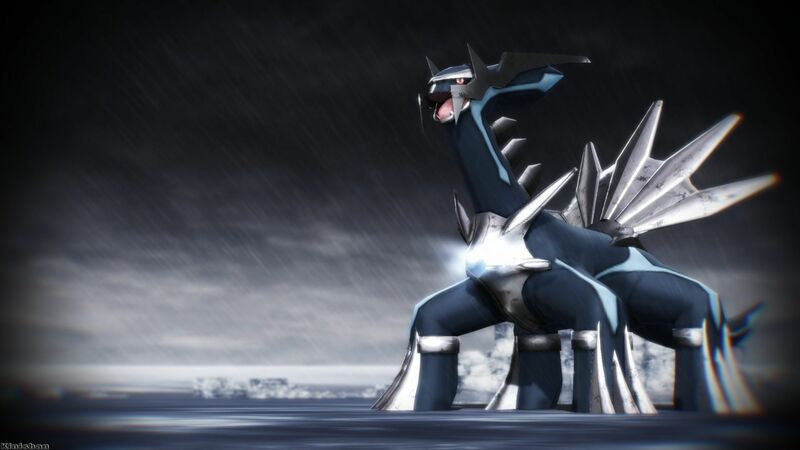 If you like PvP, Dialga could be a nice addition to your Master League team! Dialga’s lack of Dragon Tail hinders its performance in raids & gym battles. Despite having a lower DPS than the top-tier dragons, it can still perform quite well against Dragon-type raid bosses with a Dragon-type moveset, as it is the only Dragon-type that takes neutral damage from Dragon-type attacks. Its awesome typing and stats can make up for its lack of DPS in some scenarios. 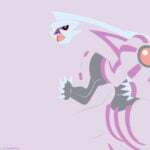 For example, against Dragon Tail/Draco Meteor Palkia. 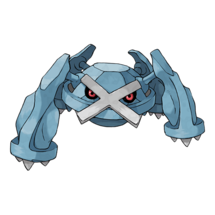 As a Steel-type, Meteor Mash Metagross outperforms it. Dialga has the potential to learn Dragon Tail, Outrage and even its signature move Roar of Time in the future, which could shake things up. 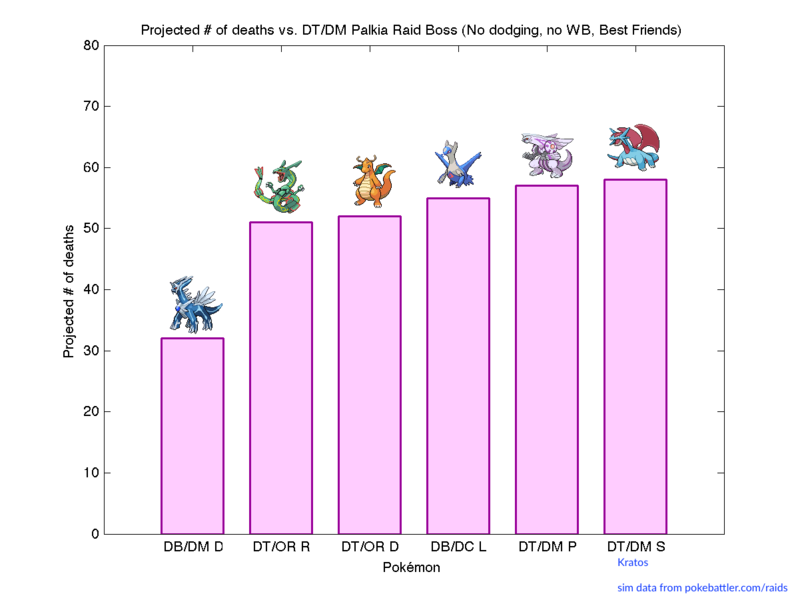 Dialga performs really well in the Master League, where it can put up a fight against most of the top-tier threats in the meta. 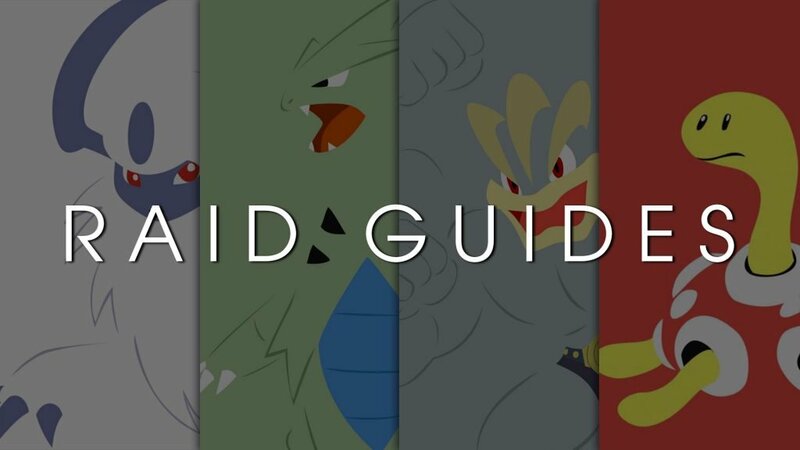 For an in-depth look at how to defeat Dialga, check out our Dialga Raid Guide.